Cullen Payne Architects have announced a number of management appointments. These appointments recognise the outstanding individual contributions of the personnel involved, and gives increased involvement in the management and strategic development of the practice to a young and dynamic management team. Darran Egan has taken up a Director role at Cullen Payne Architects. Darran became an Associate Director in 2015, having previously been an Associate of the practice since 2008. Darran has managed a wide range of increasingly complex projects since joining the practice across both public and private sectors, ranging from significant commercial projects on urban sites both in Ireland and the UK, large scale social housing projects, to specialised healthcare projects on sensitive hospital campus sites. Creative, design led and commercially minded with post graduate qualifications in Project Management, Darran leads the practice in the design of Workplace projects and our growing activities in the fields of Project Management and Client Advisory services. Darran’s proven track record demonstrates his capacity to deliver complex buildings within operational sites, working with a range of stakeholders for high profile public and private institutions. Cullen Payne Architects are delighted to bring Darran’s experience, organisational abilities and motivated approach to bear on the management of the practice, and recognise his as a key role in shaping the future direction of the practice. Shane Blighe has been appointed Associate Director at Cullen Payne Architects, having previously been an Associate of the practice since 2015. Shane has demonstrated his ability to deliver complex projects from design to completion. He has wide experience working on a range of significant projects including large retail, residential and mixed use developments in the UK, and three large concurrent community nursing unit projects located around Ireland using large fast track construction techniques. Shane was also Project Architect for the Medtronic Customer Innovation Centre in Galway, providing research and development suites, meeting rooms and offices for the Irish headquarters of the world’s largest medical device company. More recently, Shane has been managing more specialised healthcare projects within acute operational hospital sites. Shane is a valued member of the management team at Cullen Payne Architects, bringing a creative, dynamic and focused approach. He leads the practice implementation of BIM. Cillian Gray has been appointed as Associate of the practice. Cillian originally joined the practice in 2007 following his graduation, but left in 2011 and relocated to Canada where he worked on a series of multi-residential and commercial projects. Cillian returned to Cullen Payne in 2017. Cillian was Project Architect for two large community nursing units, which ran concurrently from 2007-2011. They delivered a total of 150-bed spaces using fast track construction techniques. Cillian also brings a wealth of experience gained while in Vancouver, Canada where he worked on a variety of mid- to high-rise projects through all stages of design and construction. He was Project Architect on a number of schemes, including a six storey mixed use church, residential and commercial development and a high street retail store. Cillian also worked as part of teams in delivering several high-rise residential towers in Vancouver. 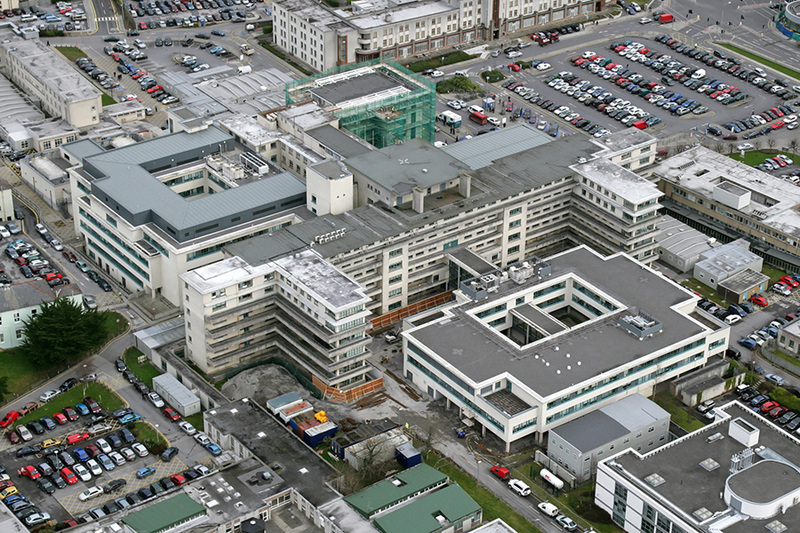 More recently, Cillian has been managing more specialised healthcare projects, in particular the design of the new Emergency Department and Women’s and Children’s Hospital on the University Hospital Galway site. Cullen Payne Architects are delighted to bring Cillian on board the management team. Design led and quality focused, Cillian brings an experienced and valued voice to the leadership of the practice. 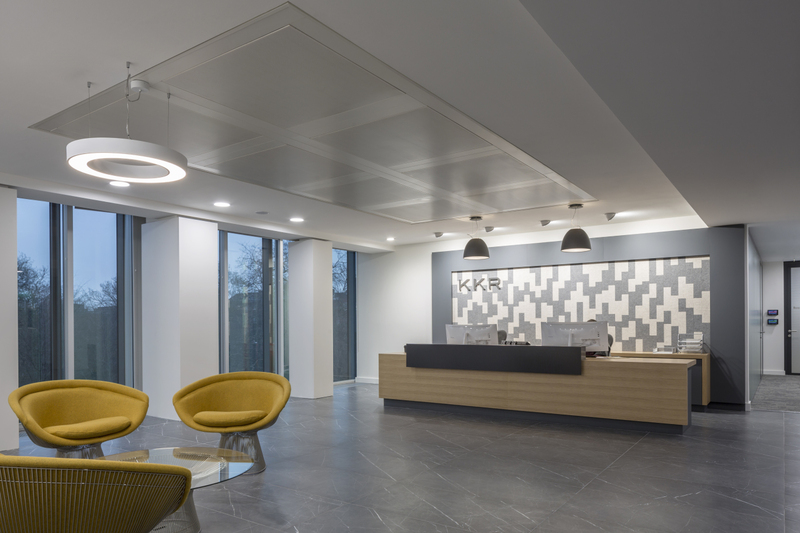 We have recently completed a new refurbishment and fit-out project of 1500sqm of high end commercial office space at 75 St Stephen’s Green, Dublin 2 for KKR a multinational Private Equity firm. Click here for more. 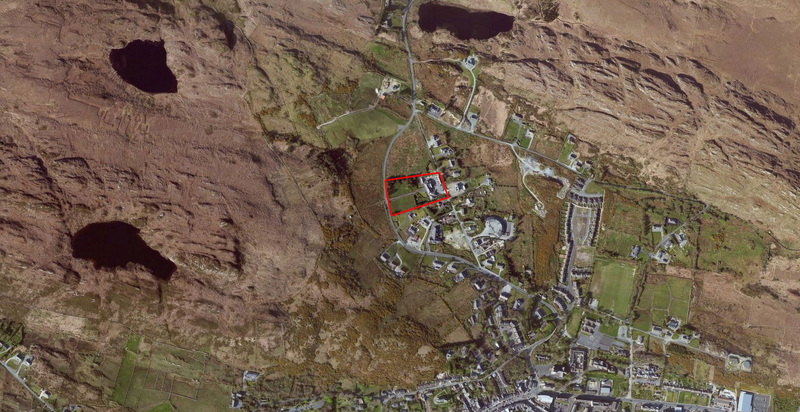 Cullen Payne Architects have been appointed to extend and refurbish St Anne’s Community Nursing Unit, Clifden. The project will involve a 50-bed new build extension and internal remodelling of the existing care home. The project will be delivered through BIM Level 2. Long-time collaborators Allies and Morrison and Cullen Payne Architects are strengthening their relationship through the co-location of an Allies and Morrison presence at Cullen Payne’s Dublin studio. We welcome projects at all scales across architecture, urbanism and planning. 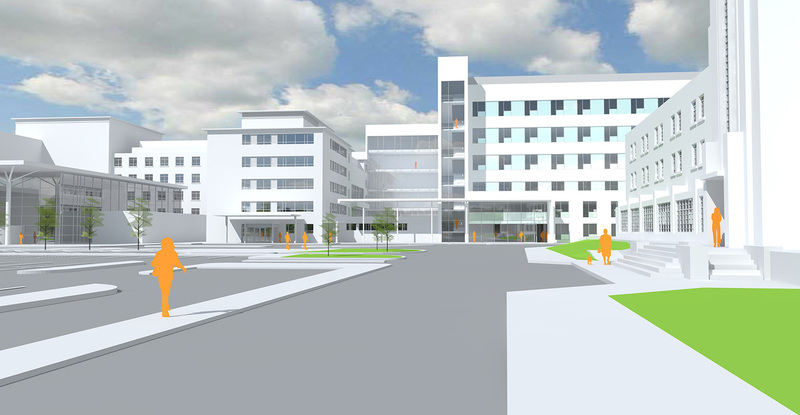 Cullen Payne Architects have been appointed, in a joint venture with Moloney O’Beirne Architects, for the new Emergency Department and Women’s and Children’s Block development at University Hospital Galway. 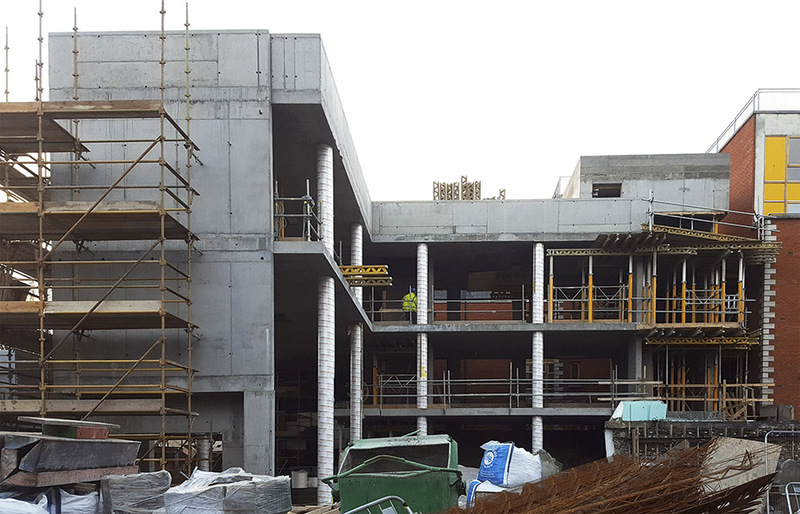 Works are underway for the refurbishment and extension of an existing building on the campus of St Michael’s Hospital in Dun Laoghaire. The new building will provide administration space for the hospital. 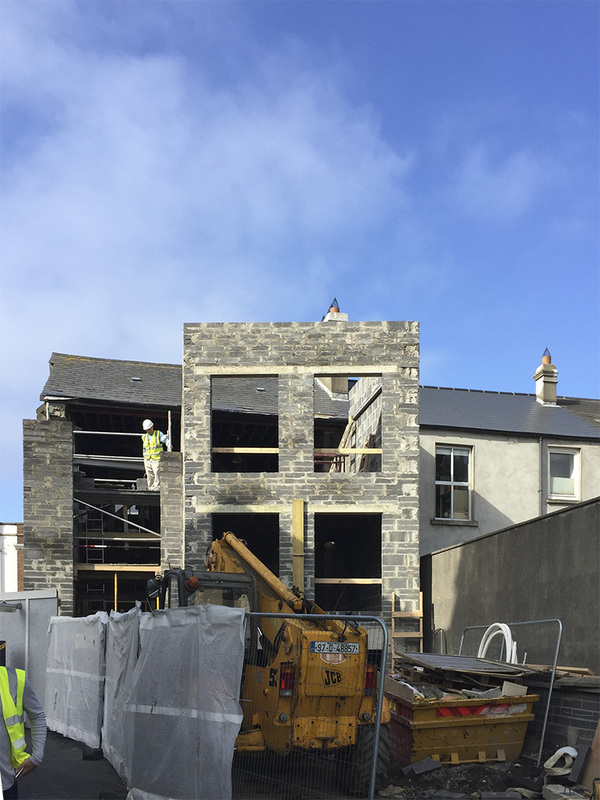 The Visitors Centre has commenced on St James Street in Dublin 8. It will be part of the new Pearse Lyons Distillery housed in a deconsecrated church, which is due to open later this year. It has a concrete frame of in-situ columns and slabs with an external envelope comprising full height curtain walling and stone cladding. The visitors centre will have a double height entrance area and a 25 seater theatre. 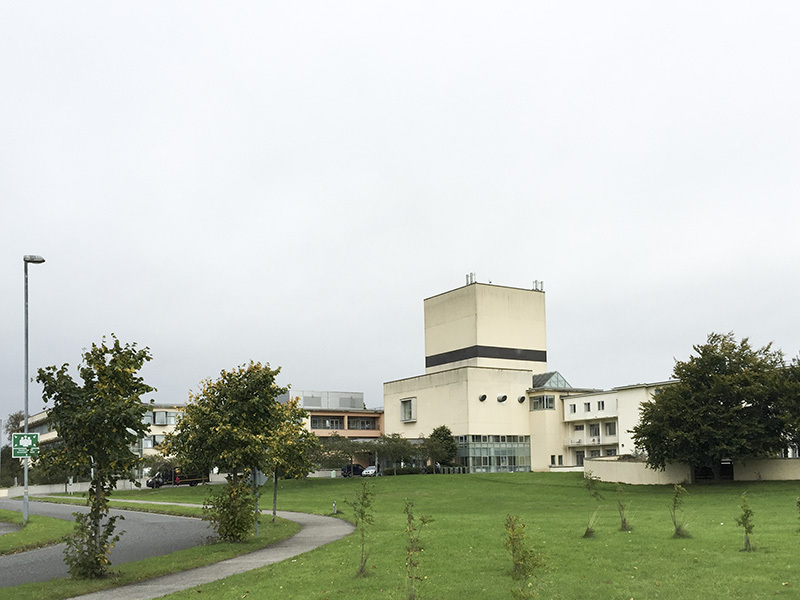 Cullen Payne Architects have been appointed as Architects to deliver the new Cardiac Catheter Laboratories at University Hospital Galway. The project involves the reconfiguration of the Cardiology and Cardiothoracic Centre at the Hospital and includes a new Cardiothoracic Ward in the Critical Care Block. Design work will start in January 2017 as the facilities are urgently needed. Cullen Payne Architects have been appointed to prepare a Protective Development Control Plan for Connolly Hospital Campus.